This week on Riverwalk Jazz it's the story of the V-Disc, a WWII morale-boosting recording initiative that created novel collaborations between jazz artists of the era. By September 1945, total production reached 4.5 million records. By the end of the program, it is estimated that more than 8 million V-Discs were distributed. 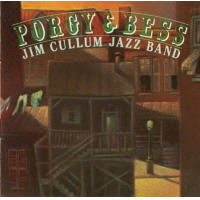 The Jim Cullum Jazz Band plays jazz recorded for the series. The Army’s V-Disc project provided a monthly package of music specially recorded for troops overseas. Soldiers fighting a far-flung war welcomed these musical snapshots of life back home. Hear an extended Interview with G. Robert Vincent here. Vincent and his team recorded a wide array of musical genres for the troops. The monthly disc shipments featured selections from patriotic marches, symphonic and chamber works, Grand Ol’ Opry stars, black gospel groups, pop songsters like Bing Crosby and Dinah Shore, and plenty of hot jazz by Fats Waller, Lionel Hampton, Nat Cole, Louis Armstrong, Muggsy Spanier, Bob Crosby, Gene Krupa, Benny Goodman, the Dorsey Brothers, Hot Lips Page, Teddy Wilson, Jimmie Luncefordd, Artie Shaw, Jack Teagarden, Bobby Hackett, Duke Ellington and Count Basie. The V-Disc project was, from its inception, intended to be not-for-profit. Celebrities lined up to do their bit in the recording studio. And no one, no matter how big a star, received any compensation. Songwriters signed on to the same deal. In return, the Army promised that no commercial use" would ever be made of V-Discs. The body of work Vincent and his team captured on V-Discs created a treasury of jazz. By special arrangement with the American Federation of Musicians (which was at the time on strike, effectively halting production of new commercial discs), there were no contractual restraints from record labels. V-Disc sessions often brought together top artists who would normally not record together in high-energy jam sessions. New technology developed by the Army meant that individual tracks on the 12-inch 78 RPM discs could be as long as 6 minutes instead of the usual 3. Musicians could stretch out and take longer solos. In general, V-Discs projected a more informal, relaxed party atmosphere. V-Discs were sent out to the four corners of the Earth—and were an instant hit. They were broadcast over PA systems on battleships at sea and in Quonset-hut day rooms" where enlisted men, waiting for orders, played cards and wrote letters home. Soldiers passing the time in barracks, or lining up in mess halls listened to V-Discs on camp radio stations. In all, between 1943-49, some eight million V-Discs were shipped overseas. It took four enlisted women working full-time to tabulate the thousands of song requests that came back from the front. Irving Berlin’s ”White Christmas” topped the list, but “Star Dust” was a close runner-up—and V-Disc producers gave the troops half a dozen recordings to choose from. There were performances by Artie Shaw, Glenn Miller and the composer himself—Hoagy Carmichael. At the end of the war, the master recording discs were destroyed. But copies of most of the V-Discs survived, and bootleg copies have circled the globe for decades. Many are available today on CD re-issues. Visit us on Facebook to tell us about your V-Disc story. Do you have any of the original discs? Did a family member share stories of listening to V-Discs overseas?